I've been a professional driver for 2 years this month. I'm an owner-operator and running NE region. Backing is an art form to some degree. More about setting up than actually backing. There are days it's so easy you wonder how you ever had trouble with it and other days it's so frustrating to get an easy spot. All part of the game. For a real challenge, try docking at some Wal-Mart docks. I've seen drivers take 30+ minutes to bump. Make sure to respond to where the tandems are going to be rather than where they are. I believe Swift's most recent acquisition was Digby out of Denver. Digby includes Digby, Navajo Express, Cargo Express and one other. Can't think of the name. White tractor with gold trim. Gonna bug me now. Was in PAon I 81 a few miles from Prime terminal. ...in a construction zone of 45 mph and a freaking FedEx truck crossed into my lane and hit my mirror. ..scared the crap or of me but he kept going. He didn't respond to the cb and was doing at least 60 mph. Just get used to that. There will always be that one driver who stayed at the truck stop too long and now has to cut corners to make up the time. Almost exclusively at someone's expense. It could have been a lot worse. Please tell me you weren't under a load. If you were, that's insane. An unlicensed driver under a load...and I thought...you know what? Doesn't matter. Prime is gonna do what they are gonna do. At least until Jerry buys them. Never said the diesel froze. The line from the pump to the nozzle froze. Actually read what people say before you assume and make yourself look stupid. That said, diesel can freeze. It gels first at 17 degrees Fahrenheit or- 8.1c and freezes solid at- 60c or -70f. So, yeah.
. I like to be able to use the clutch to throttle the engine in reverse so I can hook a trailer without ramming into it. Same with starting from a dead stop. .
Granted, I haven't driven an Automatic yet, but why is it you have to slam into a trailer in an Automatic when backing? Wouldn't you now be using the break peddle like you would the clutch and control your speed backing up? This seems rather obvious to me, but hey, I could be wrong. You'd think, but the automatics have a "creep" mode and the brakes are odd to me without a clutch to control the engine. Try it out with one and you'll know what I mean. It's hard to describe other than, it just doesn't feel right. The hook is way too rough. Could have been the kingpin or the 5th wheel. Never had anything hook that hard before. Like I said, it's hard to describe. Just gotta try it. Honestly, with practice, you'll never need to look at the tachometer. You'll be able to understand truck language and shift without thinking about it. I tried an automatic and they are terrible. No way to feather the clutch you can't control. The truck picks gears for you, burns up a lot of fuel when it gets rolling. I guess it's just because I'm so used to being able to control every aspect of engine performance and total clutch control, the idea of losing it is unsettling for me. I like to be able to use the clutch to throttle the engine in reverse so I can hook a trailer without ramming into it. Same with starting from a dead stop. You lose those in an automatic. Just my preference though. As for texting and driving, there is a Freightliner being tested right now that drives itself. Get one and text away next generation truckers. It's a sticky situation when it comes to pain management and your medical certification. As long as your drugs are legal, they can't tell you not to take them, but they can safety hold you until you stop taking them. I say can, they will safety hold you until you stop. It's a choice you have to make. Stay on the opioid and not drive, or, take an OTC for pain and get the truck moving. What I will say positive for Prime, They have decent driver facilities at at least the Salt Lake terminal. Never been to the Springfield one. By it plenty, but never in it. Couldn't be worse than C.R.England's joke of a home terminal. What a nightmare it is. 8 to a room minimum. Insane. That's the thing of it. Pime didn't get the contracts they were after. The original owner's son, Brian Henderson took those with him when he left. Honestly though, it's done and over with. Yeah, it ****ed me off, along with most of the company and owner-operators within Henderson and most of us are gone now because of it. Just makes me wonder is all. Earl and John put blood sweat and tears into the company, Josh turns it into an atm. Kids...glad I don't have any. I can deal with newbies getting decent pay and loads. Not a problem. The slap in the face didn't even come from Prime at first. It came from Henderson management. The president of the company, a GREAT guy named Josh Kaburick. That spineless coward didn't even give we owner-operators a heads up. I found out from a shipper. I didn't believe it until I get back to the home terminal and there's a Prime truck sitting at the yard. Imagine the surprise of all the drivers at the yard. The second slap was when Henderson started being a training company. When John Kaburick ran the show, no less than 2 years experience and a nearly perfect driving record got you in the door. Prime's slap in the face came with the sudden change in dispatchers. Here, work with a guy who has zero experience running owner-operators. It was one thing after another. I can't stress this enough. What you say can turn a non-preventable accident into a preventable. The deer hit me is non-preventable. I hit the deer is a preventable. Always make the deer at fault. Never ever say you hit anything. Even a pole. It hit you. Every part of that truck that has to do with you controlling properly will adjust to the driver. Notice the seats. They almost envelop you. They go up, down, forward, back, lumbar support, thoracic support (middle back), the steering wheel adjusts to you. Get comfy. You're gonna be there a while. After a while, you'll learn to understand the "language" your truck is speaking. Listen to the engine. It will tell you when it's time to shift. Just remember the Addams Family song and you'll be fine. Don't panic if you lose a gear. Everyone does it from time to time. Just recover your gear and try again. About the paper tubes, if you press the clutch tube to the floor, that's way too far. Half way down is the most you should ever press unless coming to a stop or starting the engine. There are tons of videos on YouTube that show double clutch technique. Practice Practice Practice. It'll come to you. Be patient. Keep your cool. Don't panic. Also, don't try shifting down hill. You and a run away ramp will become good friends. For the record, not married, no kids. I don't wan the hassle of having to manage a trucking company and a family at the same time. Honestly, I don't miss anything. Been married before, bother after bother. Trucking is kind of the same to me, but, trucking gets me paid. Marriage doesn't. Just my view of the world from that angle. Don't have to agree with it, also means you don't have to judge. As for the single miscommunication, no. That wasn't the first and only one. It was nearly constant after Prime seated their own dispatchers with Henderson. A friend of mine who's been with Henderson for years just quit because of Prime. At least he says because of Prime. They are a HUGE company. There are going to be things that come up, but don't make me, the driver, responsible for your mistakes. Take responsibility for them, reschedule or talk to the shipper. My time is precious to me and a company wasting it on a slip of the finger on a keyboard just wasted several hours of my time. As a back-up, Prime has a live loaded call system. That's to see if they screwed up anywhere with the load. I've talked to Swift drivers, they have a similar thing where they put the load information in at every stop. They send a macro saying they GOAL. Cya isn't bad, but, where's the line between driver responsibility and company responsibility? I run under my own authority now, which is great. Brokers can be...interesting sometimes, but, I answer for my actions. Makes me think about my actions. I'm not a super trucker. I will always learn in this industry. There is just a line in the sand I drew that I won't tolerate Crap after. If you're happy at Prime, stay and enjoy! Not many people can say they truly like their employer. I'm just happier on my own without a 100mph dispatcher trying to get me to do posted speed limit over snow and ice. Some of their loads are misplanned. Example of this, at Newly Wed Foods, I have a pick on 5/19/2015. The shipper had me scheduled for the day after. Prime vehemently refused to accept responsibility for this mix-up and this lack of culpability ultimately lead to me terminating my contract with them. First of all, how do you know it wasn't the shipper that put the wrong date in their books? What makes you so certain it was Prime's fault? And second, you terminated a contract with a company because there was one miscommunication between Prime and a customer on one load? Well I hope you're prepared to terminate about 50 contracts a year because that stuff happens regularly in this industry. And how do you view Prime the corporation? Is the success of the corporation the most important thing in your life? Would you give up your wife and children to help them be successful? I don't get this line of thinking. You're an owner operator who has made a business agreement with a corporation. What do you want them to do, plan your wedding for you? Baptize your children? Throw you a parade every time you come to town? What is it they're supposed to be doing for you that they're not? Not that it matters I guess because you terminated the contract. Like I said, this was my personal experience with Prime after they bought the company I was originally leased to. 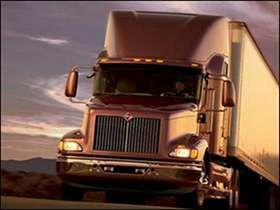 I was leased to Earl L. Henderson Trucking. Since Prime brokered the loads and dispatched, I was considered leased to Prime at that point. Great example of them pushing. I was in Cheyenne, WY early this year. Extremely cold, extremely windy and I'm hauling around 14,000 in the box. Winds easily 40+mph. I'm not going to move my truck. I know that at the very least, the trailer is going to be blown around like a piece of paper in those conditions. Told dispatch, they insisted that I get rolling to the 90 location. Worth mentioning I was on I-80E. Conditions were so bad that I couldn't, physically couldn't, put fuel in the reefer tank. The fuel line at the pump was frozen solid. I flatly told dispatch that I am not moving and that they needed to reschedule the drop. They threatened me with a service failure (my service record stood at 99.8% at the time.) It's my tractor and your freight. I understand you want your freight to move, but your load isn't worth my life if a gust of wind hits that light trailer and throws it off the road, dragging my tractor with it. Top that off with all of Prime's O/O being paid more per load, they run line haul percentage or by mile pay. 72% or $1/mi. Same as Henderson. Same load, same 90 location, Prime guy makes more. So, I have a special dislike of Prime. I won't lie about them, but I won't sugar coat the facts either. Here's the problem. Opioids and any other narcotic drug, hallucinogens and their like, cause an altered state of awareness that detrimentaly impacts your ability to react to hazards, let alone recognise them. They impair your ability to make sound judgements. This job is safety sensitive. We have to watch out for the 4-wheeler who isn't trained. Prey animals aren't built to have all the perks of a predator. Such as a CDL. Also, you never hit the deer. It hit you. What you say is critically important in judging fault. "The deer hit me." Saves your bacon. "I hit the deer." Turns into a DDAC, phone record pull, GPS track and all kinds of other, very unpleasant things. Something new everyday. That's why there's no such thing as a super trucker. From a place of experience, I will tell you that your logging class was probably wrong if your instructor told you to log off days. You can and honestly have to, but, you are learning how to log. A straight line in off-duty, not driving isn't helping you.